Honeypod is privacy focusing device connected to your router to remove the ads and tracking systems from all over your home network while also rewarding you for browsing the web. The view of the Internet as we know it today is built entirely around the hidden services that have the intention of tracking and monitoring a person’s every move, who they are, what they see, and who they hang out with no acknowledgment or approval. Honeypod change that not only gives you the freedom to control who and what has access to your internet connection, but also benefit you to browse the internet. We were on a mission to help you protect your internet. Honeypod provides complete online privacy, faster internet speeds, and rewards you for browsing the web. Through the use of Honeybox, all users receive a token cryptocurrency in a shape similar to mine based on the amount of usage of their Honeypod. 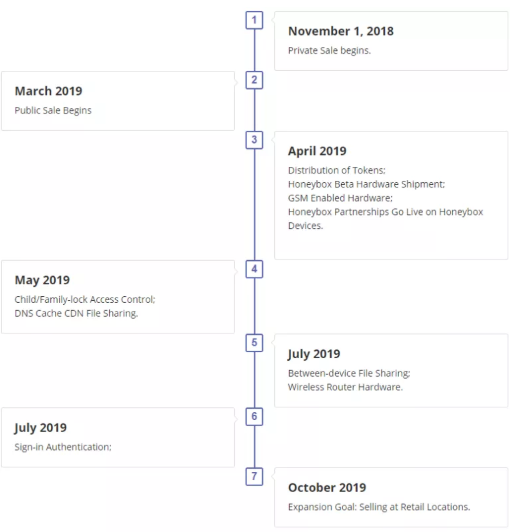 Through promotional partners connect with Honeypod, users will also receive a token. Honeypod work on every device connected to the internet from your phone to your smart tv. One Honeypod for all the devices in your home. Honeypod has the ability to be used as an authentication system for both receiving tokens and purchase the service online using cryptocurrency. There will no longer be the need to pull out your wallet every time you need to buy a service, but Honeypod is your authenticator connected to a wallet or identity. CRYPTO PRODUCTIVE Through the use Honeypod, all users receive a token cryptocurrency in a shape similar to mine based on the amount of usage of their Honeypod. Through promotional partners connect with Honeypod, users will also receive a token. AD BLOCKING, Unfortunately, advertising becomes more and more forced to point Internet users into spam that led to the use of bandwidth-intensive, long page load times, and malicious malware attack the user’s device. BLOCKING TRACKER Tracking services often piggyback off a legitimate service to force Internet users to be aware divulge sensitive personal information that Internet users would not have otherwise freely provided. Personal information is then often sold to other services and companies. AUTHENTICATION Honeypod has the ability to be used as an authentication system for both receiving tokens and purchase the service online using cryptocurrency. There will no longer be the need to pull out your wallet every time you need to buy a service, but Honeypod is your authenticator connected to a wallet or identity. FULL DATA MONITORING Complete access monitoring all requests for data and third parties trying to access your device allows you to have real-time insight blocked, how many times they have tried to access you, and on which device. SECURITY THROUGH BLOCKCHAIN Utilizing the Byzantines consensus algorithm, data, and secure payment transactions and confirmed prevent man-in-the-middle attacks, identity theft, credit card theft and loss of personal information. Given the rapid growth of the Internet of things and devices that support access to the world wide web, it is absolutely obvious that our security will hang on a thin thread if we do not take any measures. Honeypod perfectly demonstrated its feature and advantages, thanks to which it becomes obvious that this kind of device we all need, because it is able to protect us from all kinds of problems associated with the Internet. I dare to assume that the idea of the Honeypod will appeal to many, because I do not think that there are people in the world who are indifferent to their safety and security of their mobile devices. Therefore, the project has all chances to take a leading position in this segment. If you want to know more information about the Honeypod, I offer you all the official resources of the project, the links that I attached at the end of the review.